Feld Entertainment Inc., owner of Ringling Bros. and Barnum & Bailey Circus, will turn down the lights one last time this May, 2017. The circus had a robust 146 year run. Kenneth Feld, Chairman and CEO, cited several reasons for shuttering the iconic circus: high operating costs, declining ticket sales, changing public opinions, and protesting organizations. Ultimately, the circus industry has lost the battle with motion pictures, streaming services, and game systems. With Ringling closing, the era of uniquely Americana circus curiosities ends. Phineas Taylor (P.T.) Barnum hobbled together a traveling side show act. In 1841, he bought Scudder’s American Museum, a 500+ collection of curiosities. “The Feejee Mermaid” join in 1842 with “General Tom Thumb,” real name Charles Stratton, following shortly after. Barnum expanded the variety of the show by hiring Jenny Lind, “The Swedish Nightingale,” who hypnotized audiences with her liltingly songs. However, Barnum would soon find his big act. In 1882 for $10,000, he purchased “Jumbo” an Asian elephant, and the audiences loved him. Since then elephants became the staple of circus routines. Ironically, it was animal protesters forcing the circus to agree to retire all the elephants by 2018 who killed the business. Circus-goers love the elephants; the elephants comprised the bulk of the show. As the elephants were relocated to the Ringling Bros. and Barnum & Bailey Center for Elephant Conservation, the circus attempted to reignite the show by updating acts. Ultimately, this could not sustain the circus. Five Ringling brothers founded their circus in 1884 in Baraboo, Wisconsin. By 1907, their circus had eclipsed Barnum & Bailey; therefore, the brothers purchased the remaining stocks for $400,000. They ran two separate circuses until 1919, when it became economically advantageous to operate as one. The Ringling family owned the circus until 1967, when they sold it to Feld Entertainment, Inc. It’s been quite a long history. Feld Entertainment released a statement that the existing animals will be placed in “suitable homes.” The company has not stated where the costumes and other props and memorabilia will be housed or sold off. Established in 1948, the Ringling Museum of the American Circus is housed on the Ringling Estate, comprised of the Ringling Museum of Art, Ca’d’Zan, The Historic Asolo Theater, and the Bayfront Gardens. Hopefully, the Circus Museum has the resources to preserve, maintain, and display this uniquely Americana collection. The circus industry has suffered tragedies and fatalities over the nearly 200 year history. Most notably for Ringling were 1) a horrendous train wreck on August 22, 1889; and 2) a great fire enveloping the Big Top on July 6, 1944. The fire haunts me to this day. Hung on a wall, tucked in a corner inside the Circus Museum was an old newspaper article. As a middle school-age kid, I wandered around as the article caught my eye. I still don’t know why since it was in black and white, and yellowed with age. I remember standing in the corner reading about the fatal fire. On July 6, 1944 in Hartford, Conn., the hot, stale air caught fire beside the Big Top. The fire was fast, fierce, and deadly. One hundred and sixty-eight people died. Over 700 injured. At least 50 animals were killed. The article was sad, but it was history. The pictures fascinated me. I stood there staring at them. I continued reading the exhibit documents. Some children were victims of the fire. That made me very sad. I continued to read. There was one female child, a child with blonde hair—between the ages of 6-8 possibly—who sustained fatal burns. The bodies were laid out underneath a large tent for identification. No one came to positively identify this child. This broke my heart. She became known as “Little Miss 1565.” The number was assigned in numeric order to the unidentified bodies in the county. 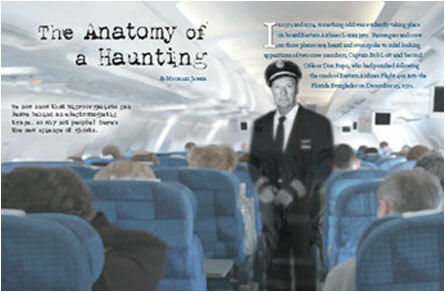 This story haunted me. I dreamt of being under the Big Top when the fire starts. That blonde girl haunted my dreams. She visited for several years. In my dreams, amongst the flames, she stood before me. And we run, run toward the exit. We never made it out. Some years passed; I grew up. At some point I remembered the girl and started researching. I was relieved when I located an article where on May 8, 1991, she was finally identified as Eleanor Emily Clark. Her remains were removed; she was interred with her family. Finally, she is at peace. I never returned to a circus after reading the article. They didn’t interest me. I don’t like carnivals, either. However, I’m sad that Ringling is closing. It’s the end of an age where people were willing to open their minds and consider the impossible. To think, well, just maybe, this does exist. Trains run around the clock. On weekends. At night. And trains come from both directions. Conductors only blow train horns at crossings. In Georgia, horns do not sound at Quiet Zones, locations were silent crossings have been established. These are hard learned lessons to learn on an investigation. Darwinism may get the best of you. That is, if you aren’t paying attention. 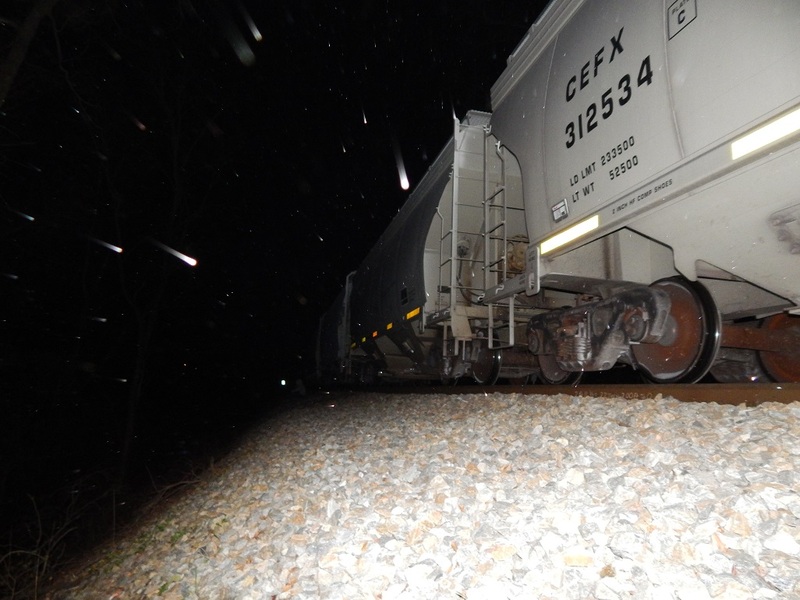 Recently, API conducted a follow-up investigation at the Camp Creek train wreck site in McDonough, Georgia. In 1900, torrential rain storms caused a train truss bridge to fail and the Southern No. 7 plunged into the creek. At least 36 people died (See previous blog). Reported hauntings abound in this area. At API that translates into follow-up investigations. The sky was clear and the temperatures hovered in the mid-forties. All in all it was a beautiful evening for an outdoor investigation. Upon arrival we observed the predictable animal bone. Found some last time, too. After setting up our equipment we waited for the first train to pass. 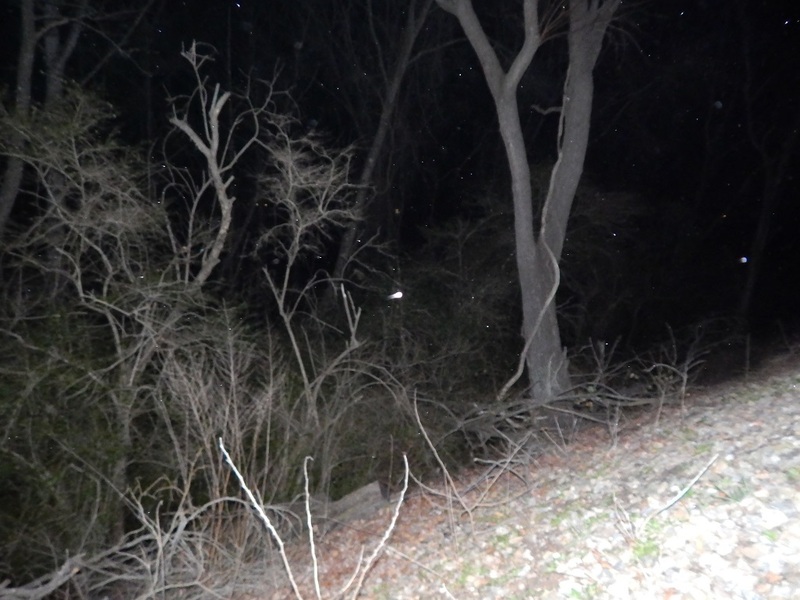 I captured lots of orbs. Further, I was able to distinguish between condensation images and anomalies. Some of the pictures are fabulous. I was farther down and still on solid footing. I turned and hustled toward safer ground. When I saw the light, I scurried down an embankment and starting taking pictures. My Ovilus III was running. It produced the following words: saw, paranormal, although, water, down, main, and foliage. This seemed clear to me. There was water down the embankment that was heavily lined with foliage. And I was too close! After the train passed, I saw a light hovering along the tracks. It wasn’t coming from the brush and it wasn’t from a car. I captured a few pictures of it. The anomalies are dense and some show movement. The night produced a lot of laughter, a few prayers of thanks, and at least one life insurance policy subscription. Hopefully Jenn remembers the train rules since I’m sure we will be going back for more evidence. 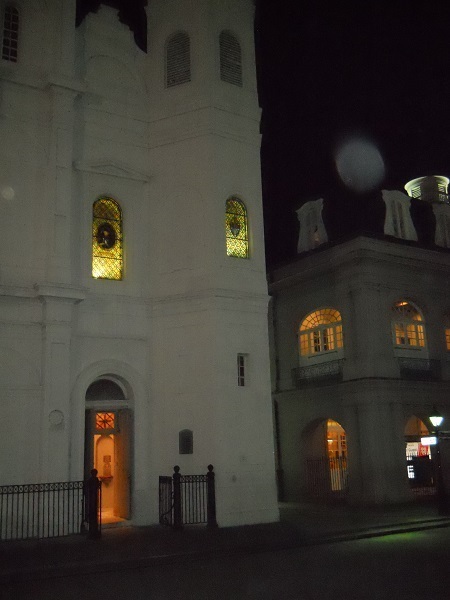 The Presbytere flanks the St. Louis Cathedral in New Orleans. Originally called the “Casa Curial” (Ecclesiastical House), the Presbytere was built in 1793 to house the Capuchin monks who ran the St. Louis Cathedral. Designed to complement the Cabildo which buttresses the cathedral on the other side, the Presbytere has been used for commercial purposes and as a courthouse. The State purchased the building in 1911 and converted it into a museum. Currently, it houses the “Living with Hurricanes: Katrina & Beyond” exhibit that captures the devastation endured by Hurricane Katrina and the elaborate “Mardi Gras: It’s Carnival Time in Louisiana.” Visit http://www.crt.state.la.us/museum/properties/presbytere/ for more information. 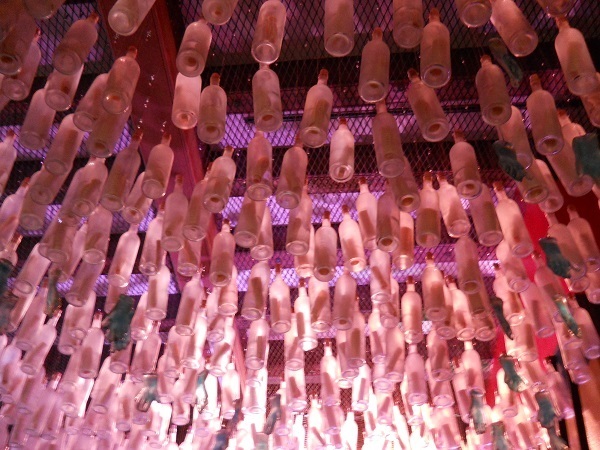 Observations: A stunning art installation of hanging soda bottles reflecting colored light welcomes you into the building. 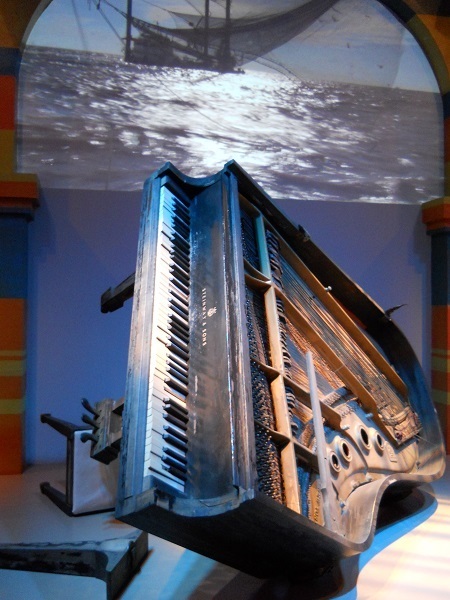 Straight ahead you see the Fats Domino’s piano, recovered following Hurricane Katrina. The “Living with Hurricanes” exhibit is eye-opening for anyone who has never lived in a hurricane-prone area. I especially liked the faded blue jeans with one man’s personal information. He used a Sharpie marker to write his Social Security Number, address, and wife’s contact information just in case he died during the hurricane’s aftermath. 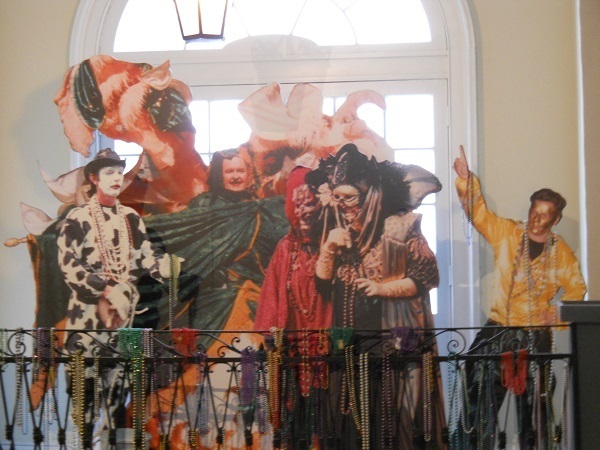 The second floor is festive with an extensive historical analysis of Margi Gras. The collection includes float designs, costume designs, costumes, pageantry, and everything related to the early days of Mardi Gras. Anyone visiting New Orleans should visit. It is well worth the price of admission—which is cheap! Photographs did not capture any irregularities. My Ghost Radar wasn’t that active either. 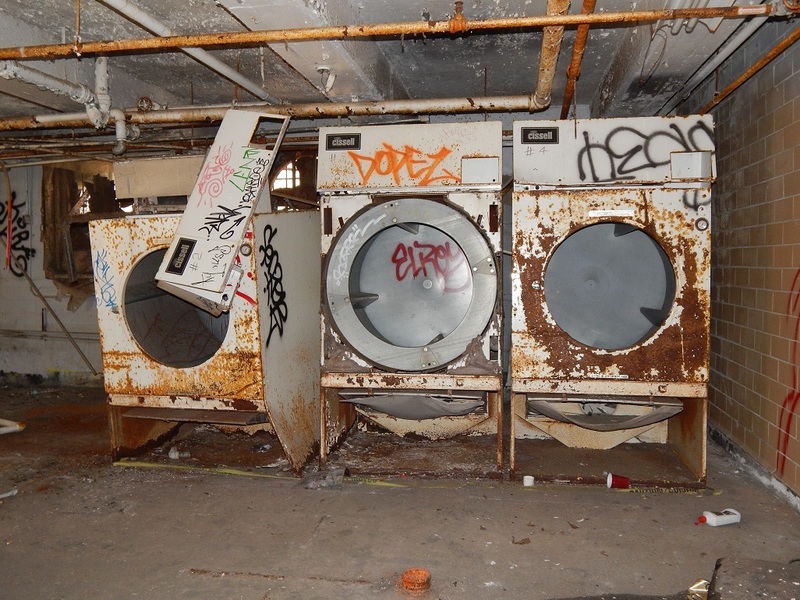 I would love to go back for a full-on night investigation, though. The used soda bottles reflecting colored light. Fats Domino’s piano recovered after Hurricane Katrina. It’s Mardi Gras every day.